From Beijing, we flew into the city of Lanzhou in eastern Gansu Province. That would be the starting point of the rest of our journey. 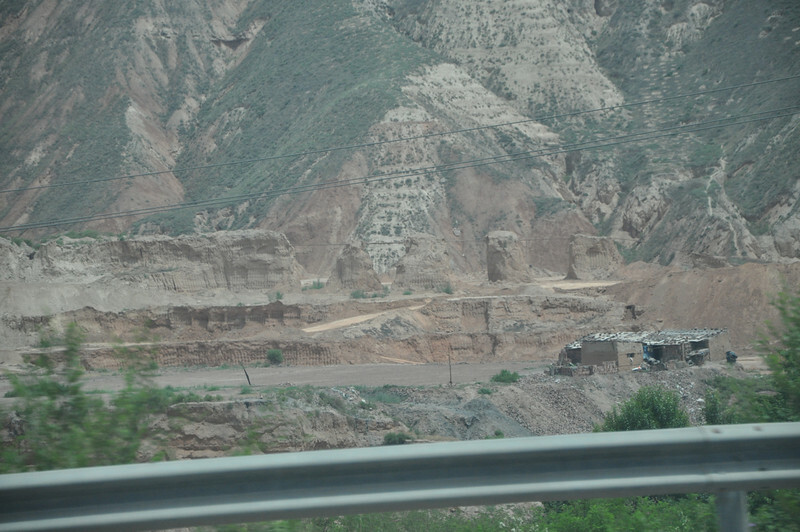 These are pictures taken on the drive from the airport to Lanzhou (about an hour -- the city is in a valley that offers little good opportunity for landing planes) and around the city. Below the loess and some other Cenozoic rocks are red rocks of the Lower Cretaceous Hekou Group. Vast areas of this unit along the highway have been and are being mined to make bricks.